The Dharma Drum Institute of Liberal Arts (DILA), Sheng-yen Education Foundation, the Buddhist Studies Center in the Humanities College at Sun Yat-sen University in Guangzhou , China, and the Buddhist Studies Forum at the University of British Columbia (UBC-BSF) in Vancouver, Canada cordially invite participation in this 3-day (January 13-15, 2018) conference at DILA, Taiwan. This is the first of a series of conferences and workshops to be held at DILA on the textual, doctrinal, ritual, historical, sociopolitical, and multi-cultural history of Chan Buddhism. Close scrutiny of the cache of manuscripts, fragments, documents, and artefacts discovered during the early twentieth-century in cave 17 of the Mogao grottoes, near the city of Dunhuang in Gansu province, and at outlying sites in northwestern China, subsequently preserved in libraries across the world and now increasingly available online, transformed the study of Chan Buddhism. 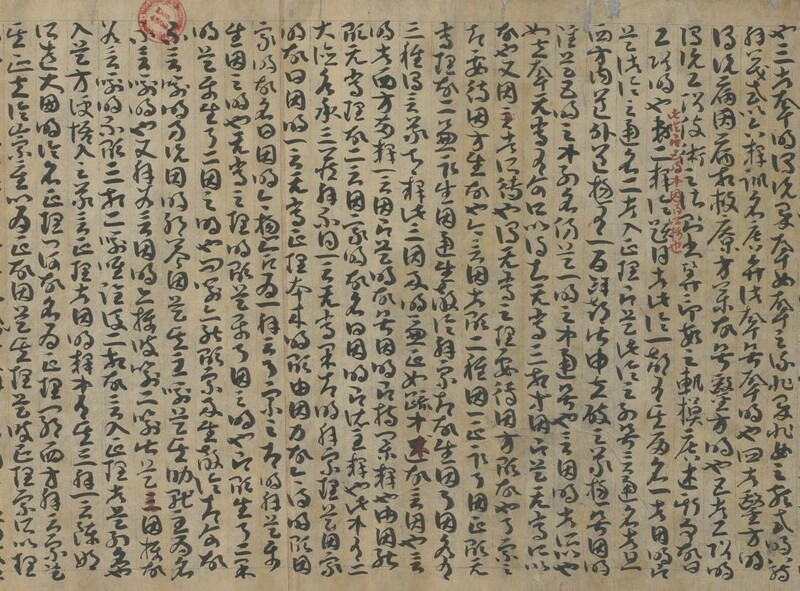 Not only are numerous early Chan histories, discourse records, and Chan-orientated scriptures preserved that are either unavailable or significantly different from versions in printed editions of the East Asian Buddhist canon, but texts in Tibetan, Tangut, Uyghur, and even Khotanese testify to the inter- or multi-cultural character of Chan Buddhist teachers, students, and patrons. These texts also show how Chan teachings accord with many coterminous scriptures, commentaries, and ritual texts from India and Central Asia. Yet we must also recognize that the penultimate legend of the Sixth Patriarch, Huineng 惠能 (638-713), who taught at Baolin monastery 寶林寺 (today Nanhua si 南華寺) near Cao creek 曹溪 in Guangdong province, conveys and bolsters a narrative of transmission and authority intimately associated with southern Chinese culture. This conference explores these two appositional, rather than oppositional, approaches to investigating the rich and multilingual textual history of Chan Buddhism. The organizing committee welcomes paper proposals related to any aspect(s) of the multidisciplinary, inter-cultural, cross-regional, and multilingual study of texts we need to consider to better understand and appreciate the multifaceted history and practice of Chan Buddhism. The organizing committee will also welcome paper proposals about these themes and Korean Sŏn, Vietnamese Thiền, and Japanese Zen. How the study of texts from archaeological sites in Chinese Central Asia compels academics, practitioners, and members of the public to reimagine or reconsider East Asian Buddhism, history, and culture . Interested scholars are invited to email proposals and cvs to FrogBear.Project@ubc.ca by April 15, 2017. All conference-related costs, including local transportation, meals and accommodation during the conference period, will be covered by the conference organizers, who—depending on availability of funding—may also provide a travel subsidy to selected panelists who are in need of funding. Our goal is to bring 15 international scholars to the conference, who will be joined by an equal number of East Asia-based scholars working on the Chan texts. We expect that this conference will generate two conference proceedings: one in English and the other in Chinese. The English volume will collect all the papers in English, plus the English translations of several papers written in non-English languages; the Chinese volume, to be published in mainland China or Taiwan, will include the Chinese versions for all non-Chinese papers in addition to those papers contributed by our colleagues based in mainland China and Taiwan. Only scholars who are confident in finishing their draft papers by the end of 2017 and publishable papers by July 1, 2018 are encouraged to apply. This conference is planned as part of our annual Intensive Winter Program of Lectures Series, Conference/Forum, and Fieldwork on Buddhism and East Asian Cultures. Interested graduate student and post-doctoral fellows are welcomed to apply for the whole program (details to be announced separately; information on the last winter program, also held at DILA, is available @ http://frogbear.org/training/winter-program/). The intensive program itself is a component of an international and interdisciplinary program on Buddhism and East Asian religions (From the Ground Up) sponsored by the Social Sciences and Humanities Research Council of Canada (SSHRC) (www.frogbear.org).